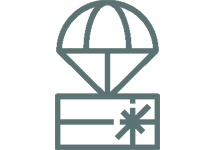 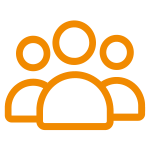 Loaded with professional features, now available for the rest of us! 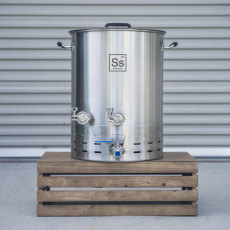 SS Brewtech has done it again with their Brewmaster Edition Kettles! 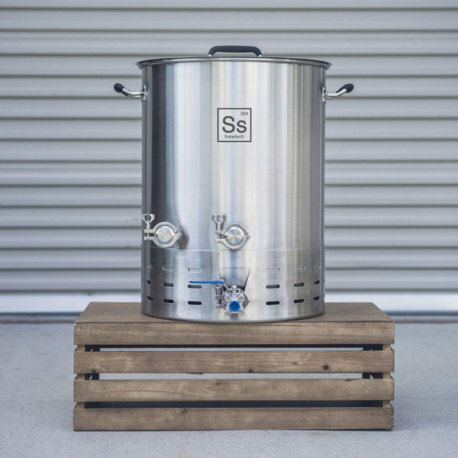 Made of the same high quality 304 stainless steel that you have come to expect from SS Brewtech, these kettles give you the ability to take your brew game to the next level. 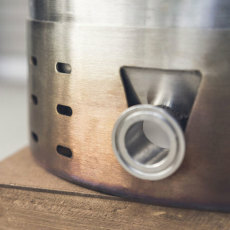 The Brewmaster Series kettles draw on the experience of professional brewers, giving homebrewers many of the features that the pros have used for years! 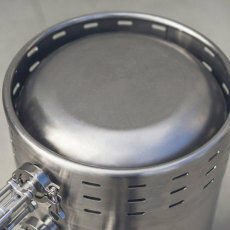 A dish bottom with integrated fire box improves the flow of heat for faster boiling times, as well as improved concentration of trub during the whirlpool. 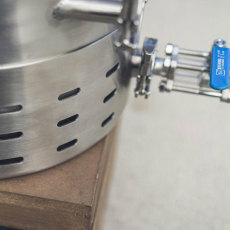 A rotating racking arm helps to draw wort out of the kettle while avoiding trub and sediment, which can be further reduced through the use of the integrated tri-clamp whirlpool port. 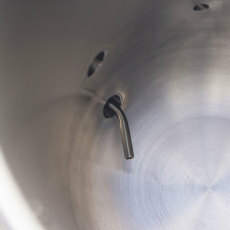 You can see these results through the sight glass integrated into the kettle valve. 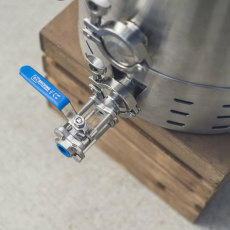 All tri-clamp fittings are made using sanitary welds to keep your beer clean and infection-free! 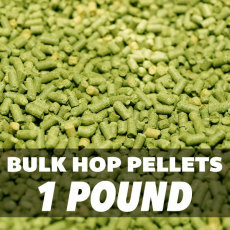 The 20 Gallon Brewmaster Edition Kettle has it all! 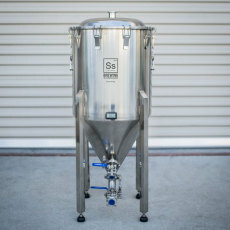 A Brewmaster Edition kettle from SS Brewtech with a ton of functionality! 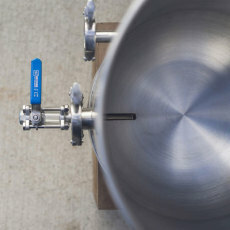 Sight glass inegrated into kettle ball valve so you can see the clarity of wort during transfer! 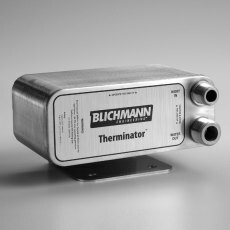 Integrated fire box with vents that channel the flow of heat for better performance! 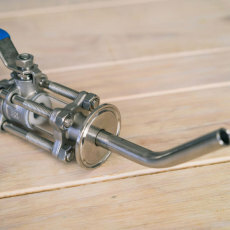 Rotatable racking arm for efficient collection of clear wort! 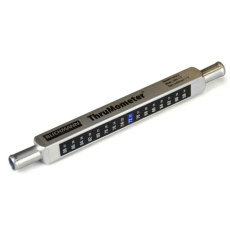 ThruMometer Inline Thermometer, Blichmann Engineering - 1/2 in.